The Smokers Club Tour has been winding its way around the East Coast, and will reach our own Congress Theater tonight (10/27) for a very “hazy” performance. 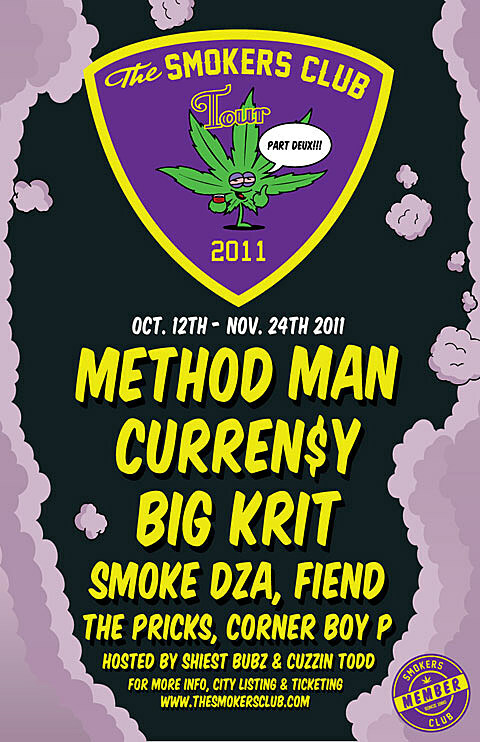 Featuring the likes of Curren$y, Method Man, Big Krit, Smoke DZA, Fiend, The Pricks, and Corner Boy P, the Congress is the place to be for hip hop tonight. Tickets are still available. All participants on the tour have new things on the horizon. Read more about them over at BrooklynVegan. All 2011 tour dates, and some videos are below.